How to edit registered information. How does the Attendee view information? Upload the information with the details of shuttle/transfers so that the attendee knows how they will arrive at the event or where they will stay, this info can be made available in the Transfer details . The organizer uploads this information manually or via a web-based attendee spreadsheet to attendees. In order for this feature to be available for use, it must be enabled in event tools. Click on People > Hospitality > Shuttles > Add Shuttle > Choose Person > Enter Blank Fields > Create. In the menu to the right, you can edit the registered information for shuttles. 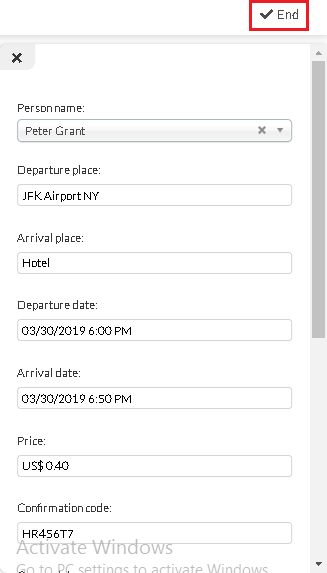 To remove an attendees flight details, press EDIT, click on the checkbox of the information you would like to delete and press REMOVE in the top right corner. The itinerary information for each Attendee can be sent via email or even a dedicated button in the App. E-mail: The organizer must go to People> Attendees , click on the attendees name and then View Voucher . 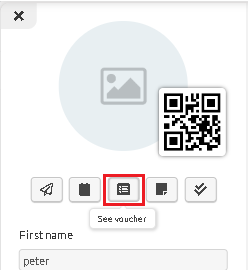 A new tab will open with the attendees voucher. The organizer should download and send to the attendee via email. For more information, please read Attendee List and Digital Ticket Voucher . App: this option, the Attendee must log into the application and press the MENU button, then press VOUCHER to view the shuttle information.